What is it with Nascar’s Camping World Truck Series and incredible finishes at the Mosport circuit in Canada? A couple of years ago there was an unbelievable finish and now there’s been another one. 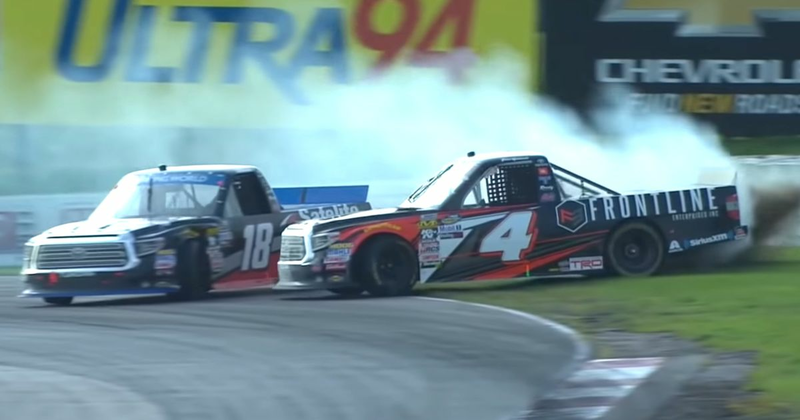 Starting the final lap, Todd Gilliland was on course for his first career win - although his Kyle Busch Racing teammate Noah Gragson had other ideas. He closed in through the lap and at the last corner decided to stick it up the inside.